The day couldn’t have been more perfect. It was a comfortable twenty-five degrees, ideal weather for some breezy pants and a thin top. Despite the sun bearing its heat down onto the pavement, the humidity was close to zero. It was a perfect day for the soul, it was a perfect day for Soul Burger. 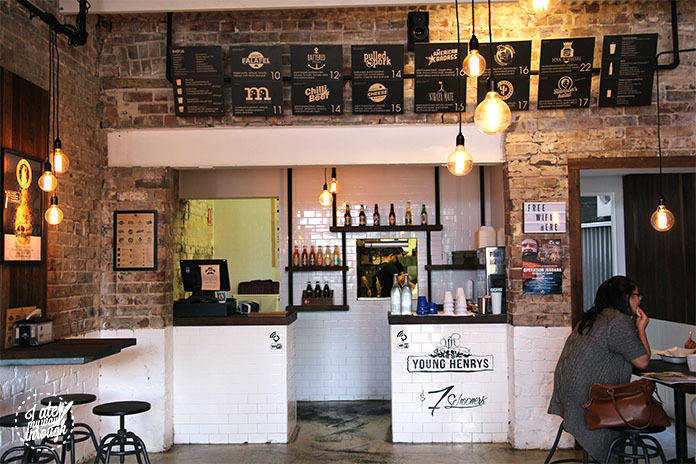 Nestled in between restaurants and cafes of various cuisines, stood an unassuming burger restaurant that offered more than meets the eye. 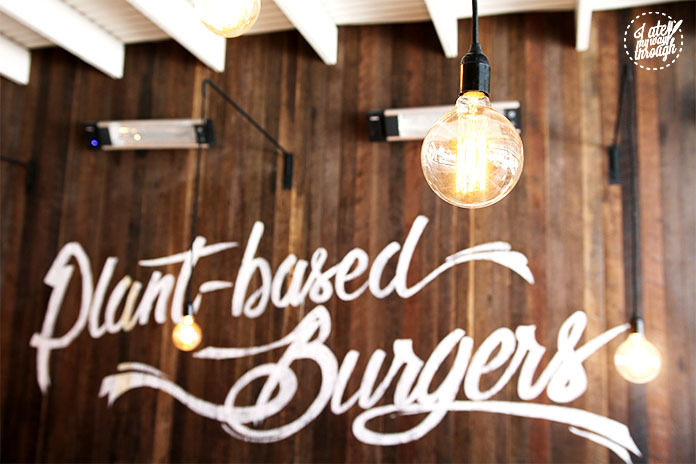 With stylish, rustic décor, it was easy to spot the Soul Burger joint in Randwick. 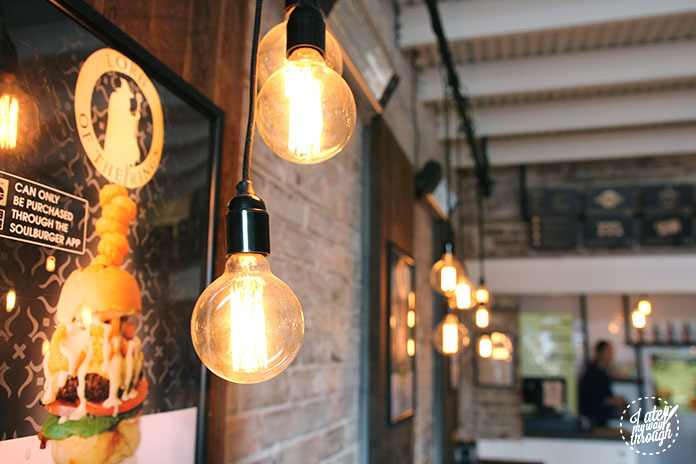 The calming atmosphere of the restaurant made you feel immediately at ease. The place was small but there’s more than enough room for you to stretch your paws before digging into your food. Before eating at Soul Burger, I wasn’t sure of what ‘plant-based’ food meant. For those who were clueless like me, the term describes food that is made from plant sourced ingredients. In other words, the entire Soul Burger menu was vegan. I had doubts about the vegan menu from looking at photographs of their juicy, dense patties. The patties looked too meaty and succulent to be purely made from plant-based ingredients. 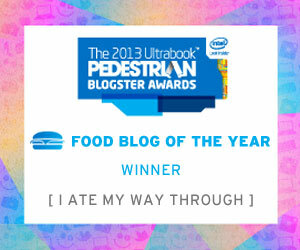 But I pushed all my suspicions aside and dove into the world of vegan burgers. Soul Burger doesn’t boast about the fact that they supply addictive vegan food. The menu was printed on a piece of wooden board with black ink. 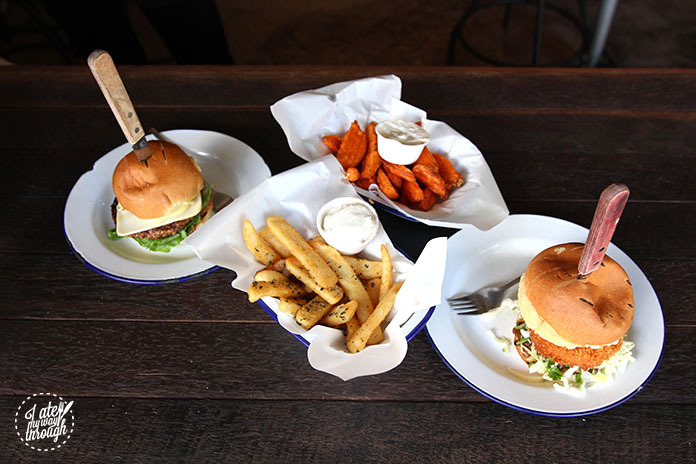 It appeared to be like any other burger menu offering a variety of ‘beef’, ‘chicken’ and vegetarian burgers. An unsuspecting meat eater could walk in, order their usual meat burger and not even notice that they have entered a vegan joint. After a long contemplation (which included getting one of each burger), we decided to go with the Southern Fried Chicken Burger ($16) and the Classic Cheese Burger ($15). 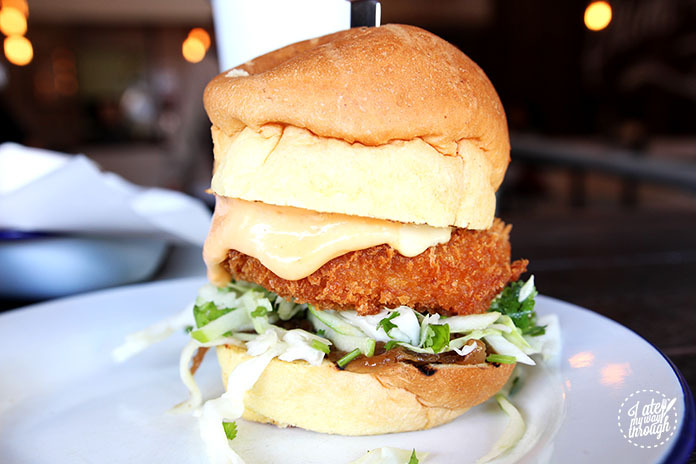 The Southern Fried Chicken Burger had a stringy textured patty contained within a crispy, golden batter. 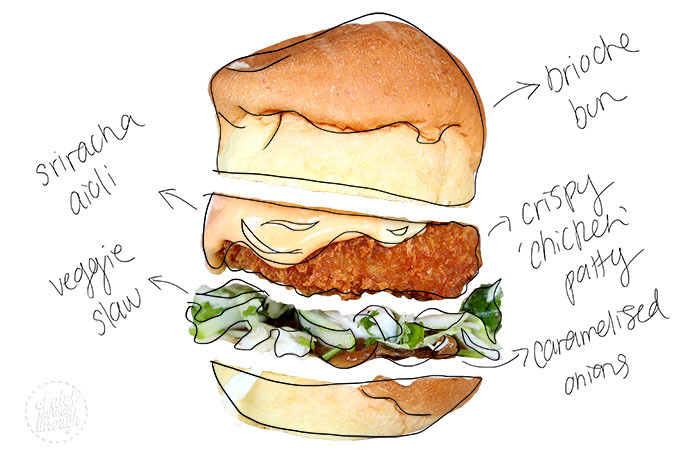 The flavour of the patty resembled that lean chicken lightly seasoned with salt and spices. The crunchy patty sat on top of a bed of fresh veggie slaw and caramelised onions dripping in a sweet, honey coloured sauce. The patty was then generously slathered with ‘cheese’ sauce and sriracha aioli. The spicy kick of the sriracha aioli added a little attitude to the burger without overpowering the other flavours. To keep all these gems together was a fluffy vegan brioche bun made from coconut cream, white flour and a naughty pinch of sugar. The Southern Fried Chicken was a mouthful, but all the elements balanced out one another. The crunchiness of the slaw and the sweetness of the onions sliced through the denseness of the savoury patty, ‘cheese’ and aioli. The brioche bun cushioned all the elements together, creating the perfect whirlwind of textures and flavours. The Classic Cheese Burger was simple yet effective. 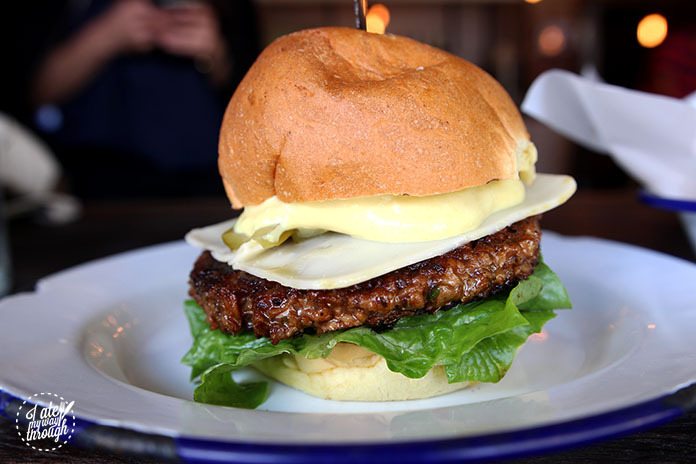 The burger was modestly served with a tender ‘beef’ patty, a leaf of crisp lettuce, a slice of vegan cheese and crunchy pickles smothered in a tangy mustard aioli. All of this rested in between the pillowy brioche bun that was smeared with a lavish amount of tomato relish. The juicy ‘beef’ patty flaked apart in your mouth only to be collected by the fluffy bun. The patty had a slightly smoky, grilled flavour that reminded you of a sunny day at the park with the barbeque going beside you. The tomato relish cleansed your palate, preparing you for the next bite. 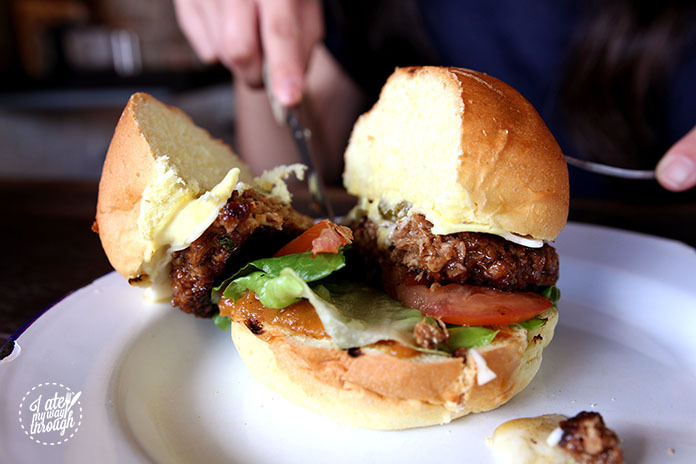 The relish and aioli tied all the flavours of the burger together like a ribbon on a present. All the patties at Soul Burger are made daily in store from soy and pea protein delicately seasoned with spices and sauces. 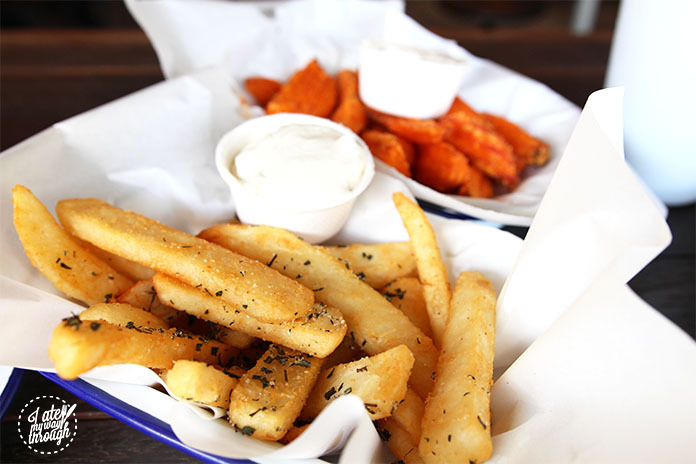 We decided to indulge and ordered a side of small Kumara Fries ($5) and small Green Fries ($4). The fries were perfectly crispy on the outside and fluffy on the inside. 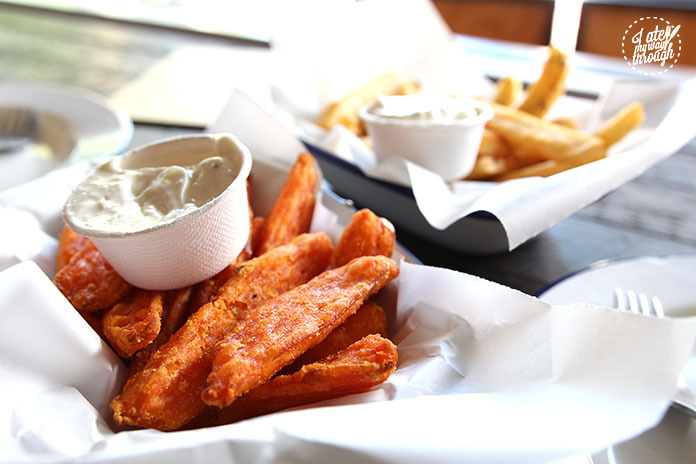 The Kumara Fries were plump, bite-size cuts of lightly salted sweet potato. The Green Fries were generous chunks of potato, delicately seasoned with herbs and sea salt. All the fries were served with the most indulgent aioli I have ever tasted. 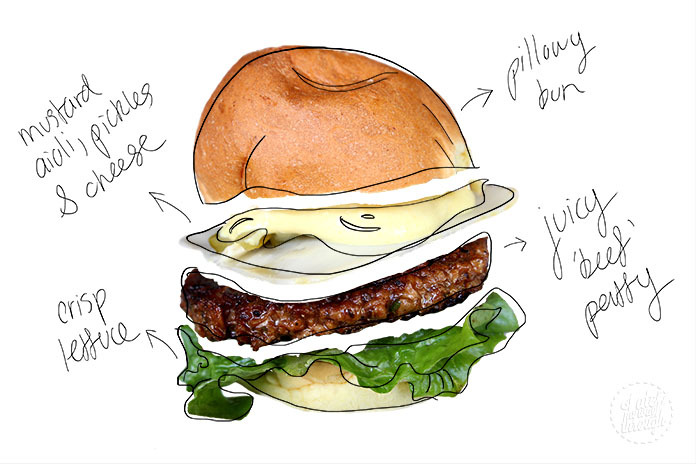 Vegan dairy company, Fenn Foods, supplies the aioli to Soul Burger. The condiment was light and creamy with a slightly tangy aftertaste. It is a luscious and healthy alternative to non-vegan aioli that can leave you feeling guilty. The fries and aioli were an experience in itself. Scoop up a generous amount of creamy aioli with a wedge of potato, and then pop it into your mouth. 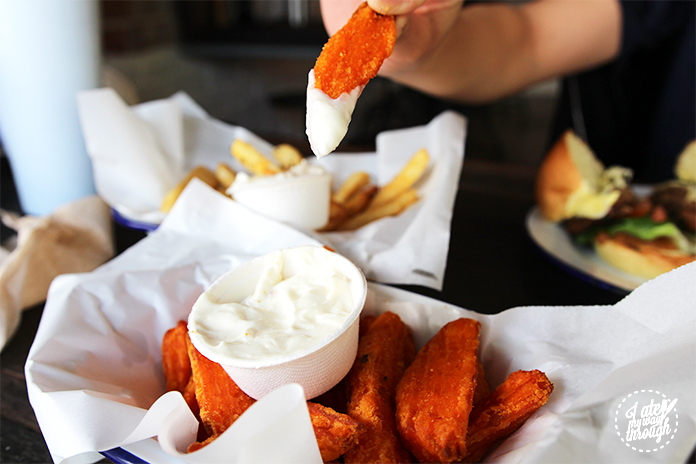 The velvety aioli coats your mouth before you bite into the crunchy potato. The tartness of the aioli cuts through the carbohydrate heavy vegetable and the subtle salt seasoning accentuates the richness of the aioli. A match made in heaven. But beware, this finger-licking combination is highly addictive. I am not only a huge fan of potato and aioli, but I am also a sucker for mouth-watering drinks (no pun intended). I have many weaknesses and coconuts are definitely one of them. 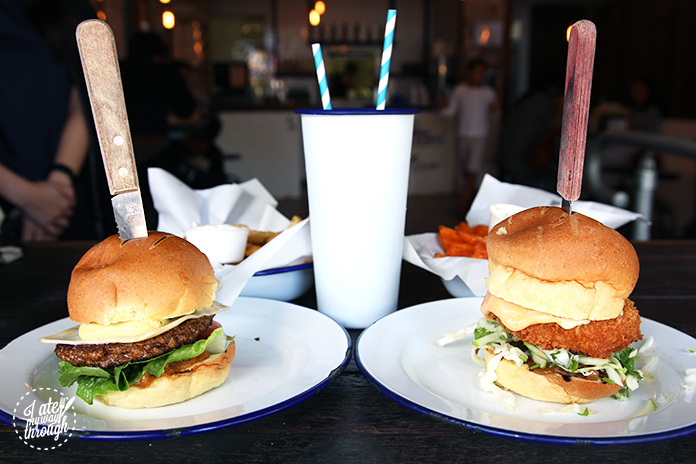 For fellow coconut lovers out there, Soul Burger has you covered. They have a wide range of coconut shakes blended from house-made coconut ice cream, soymilk and whatever flavour tickles your fancy (from chocolate, strawberry, banana, vanilla or a combination of the flavours). I went with the classic Just Coconut Shake ($7) and it was one of the best decisions I made that day. Once I took my first sip from the foamy, creamy liquid heaven, I couldn’t stop. When I looked into the cup after five seconds from my first sip, half the shake was gone. I realised that day that I have no self-control when it comes to delicious drinks. First, you get hit with the refreshing coconut taste, and then it is followed by the creamy soymilk. The consistency was not too diluted and not too thick, ideal for washing down a mouth full of burger. 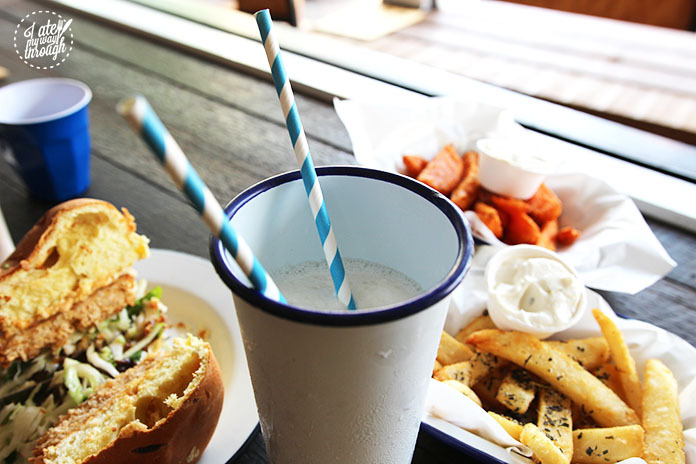 The shake was the perfect partner in crime with the burgers. If I had to describe Soul Burger as a person, he/she would be an inconspicuous vegan. 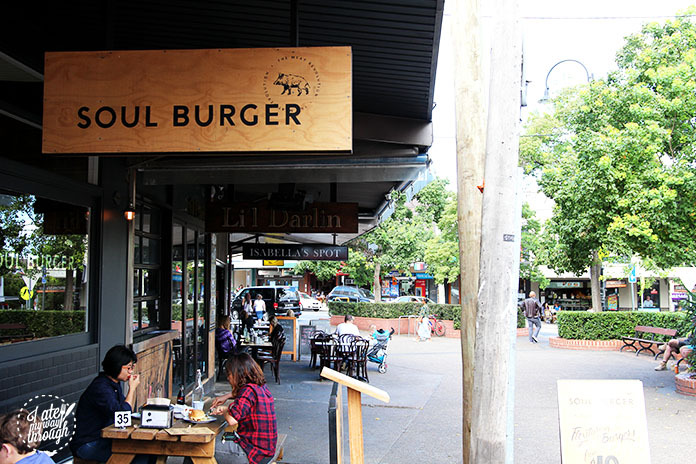 Soul Burger is a great place to go to whenever you crave a hearty, guilt-free burger. The burgers are not only good for your health, but with the morals and ethics that come with the vegan burgers, it is also good for your soul.